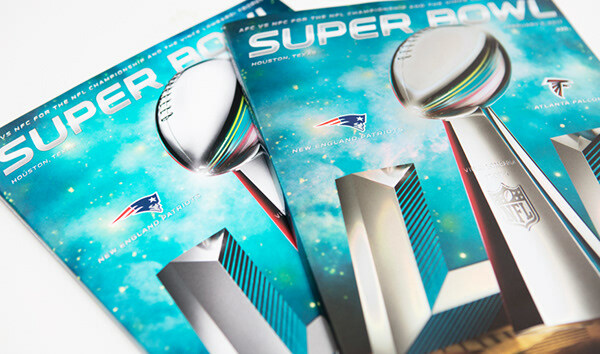 The creative direction of the Super Bowl LI style guide began in fall of 2015, roughly 16 months before the game. 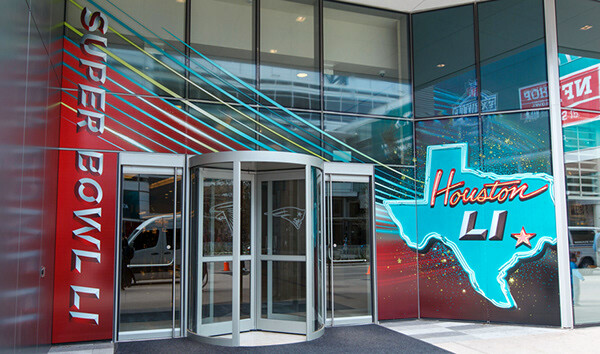 Entrenched in tradition, but constantly pushing boundaries, the city of Houston ignited our design thinking with it’s diversity, compassion, and love for all things football. 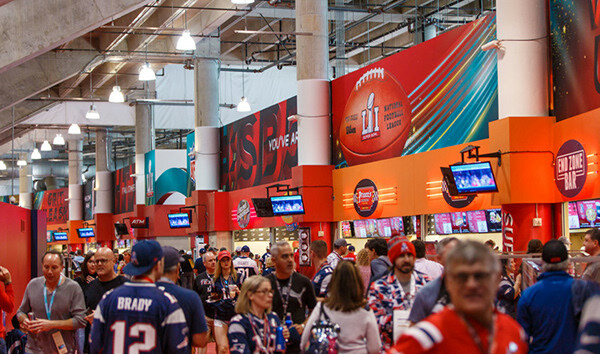 The developed style ensured continuity in the brand expression and quality level on everything from logos and t-shirts, building wraps and event décor, to game tickets and memorabilia, in-stadium graphics and animations. 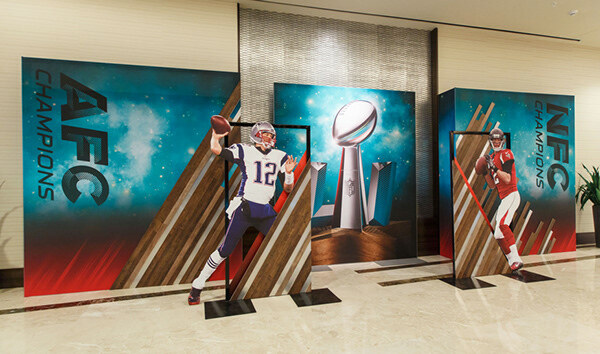 Along with creating assets, guidelines, rules, and complete look for this SBLI, our creative team worked closely with partners to establish the environmental décor program. 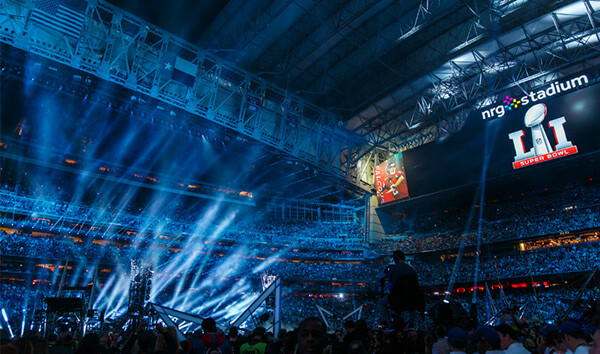 This enormous undertaking involved bringing more than 550 pieces of unique artwork to life before the world and millions of fans. 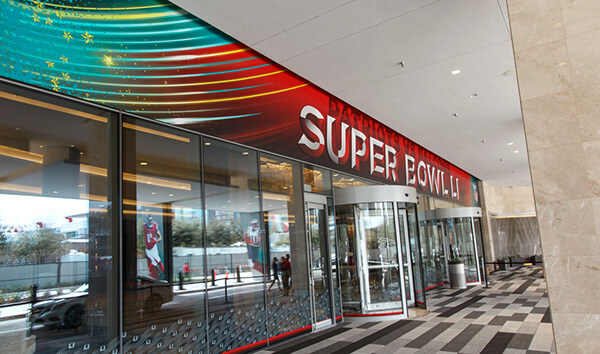 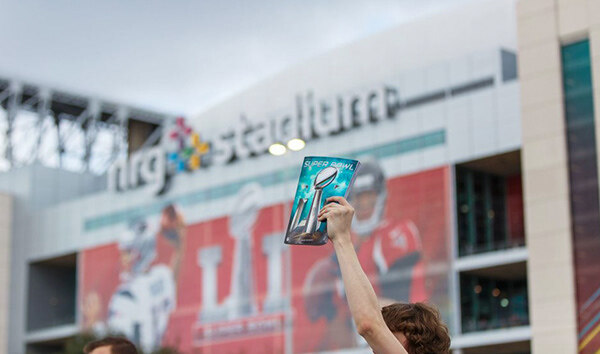 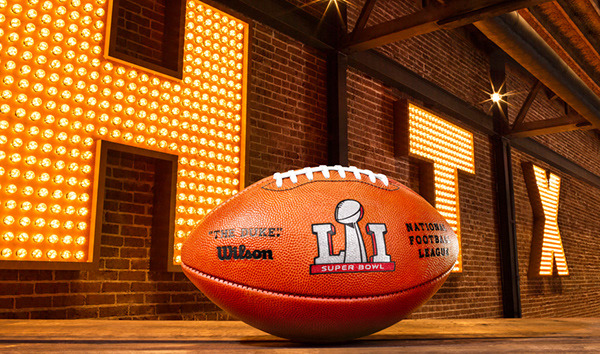 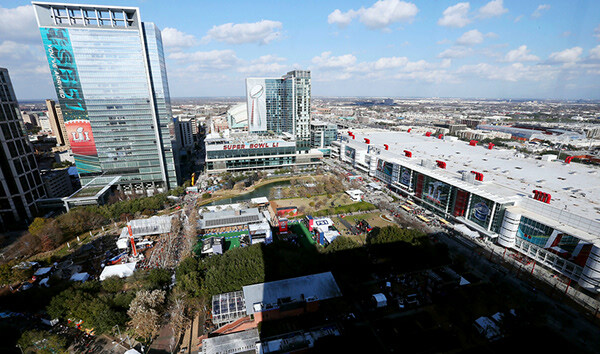 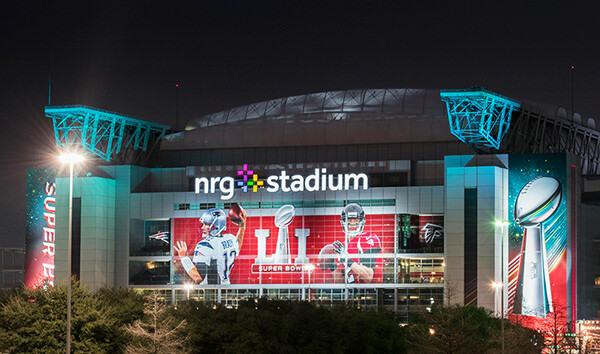 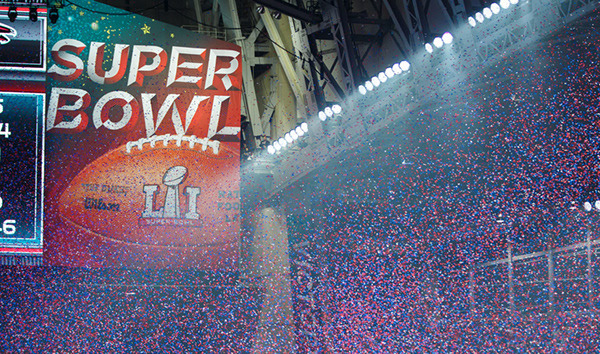 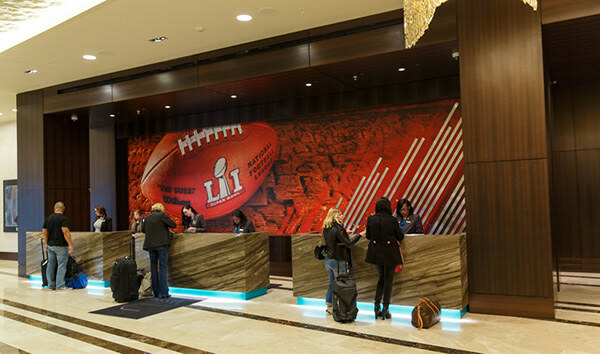 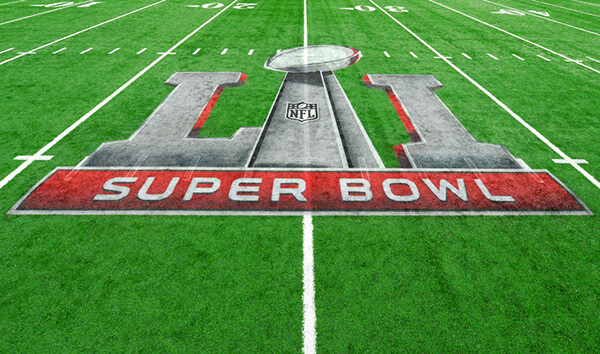 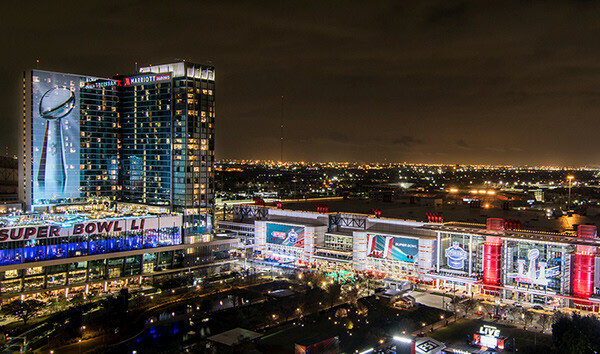 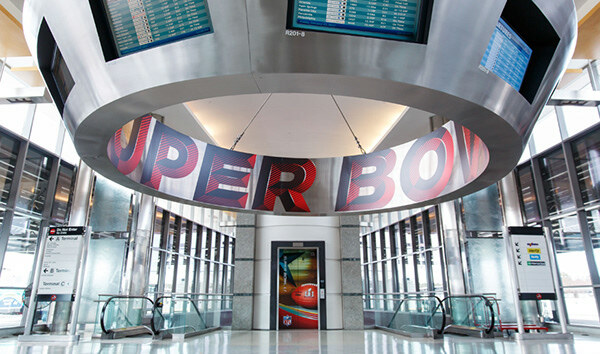 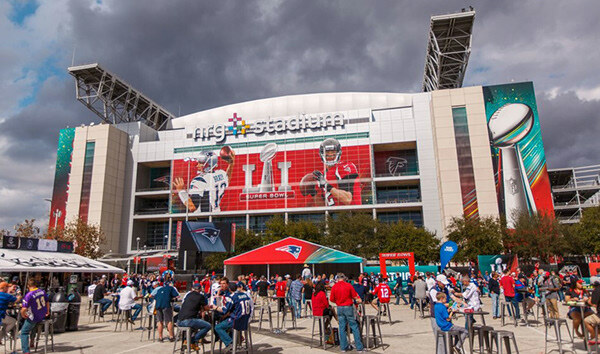 The Super Bowl LI décor branding included: airports, NRG stadium interior and exteriors, official hotels, media center, building wraps, practice facilities, locker rooms, player environments, and more than seven miles of fence mesh surrounding NRG Stadium’s perimeter. 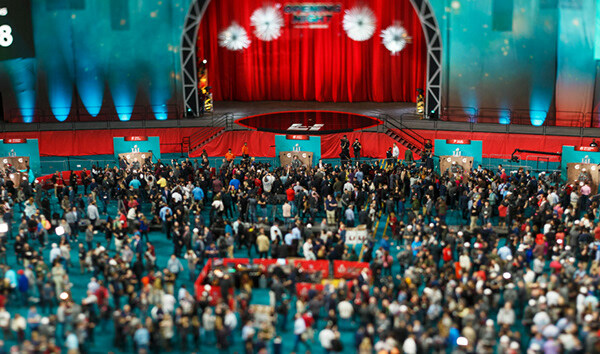 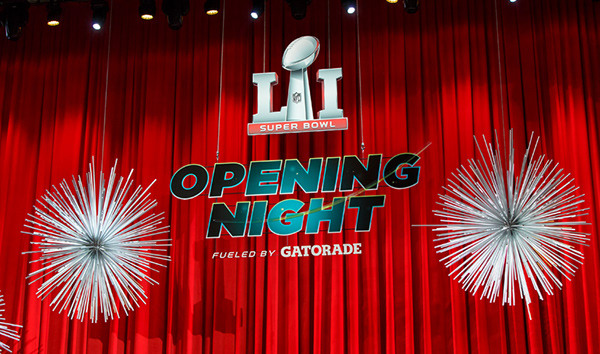 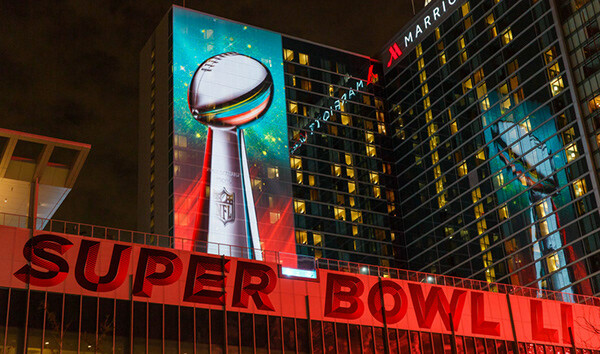 The centerpiece of the work was a massive Lombardi Trophy building wrap, which overlooked Super Bowl City and came to life at night through projection-mapped animation and NFL content. 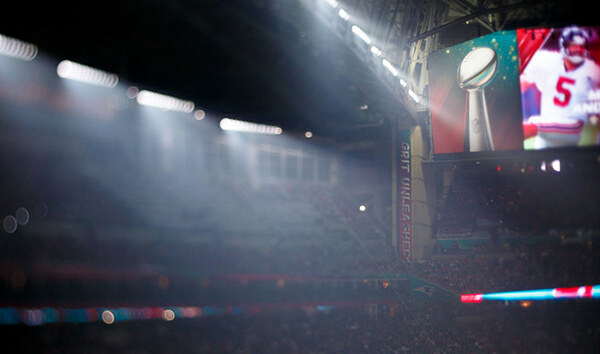 This was the ultimate 360 campaign.